London Men's Fashion Week returns Jump to media player After the success of the first Men's Fashion Week last June it returns with the ambition to rival Milan, Paris and New York. 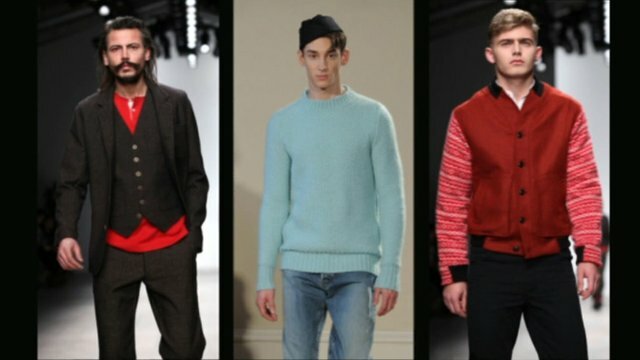 A look at London's menswear week Jump to media player Nimrod Kamer reports for Newsnight on what he has found interesting at the 2014 London menswear fashion week. Paul Smith talks about men's fashion Jump to media player Designer Paul Smith has been talking to BBC London's Brenda Emmanus about the second men's Fashion Week in the capital. Men's fashion: Comfort or couture? Jump to media player The final day of London Fashion Week was dedicated to menswear and many men are choosing designer pieces rather than casual classics. Chinese supermodel Hu Bing has been appointed by the British Fashion Council as brand ambassador for UK menswear to try to boost sales for the likes of Burberry in the People's Republic. With the men's version of London Fashion week getting under way this weekend, Mr Bing explains how he will promote British fashion in China.